Hannah's Homeless focuses on helping our local homeless population. 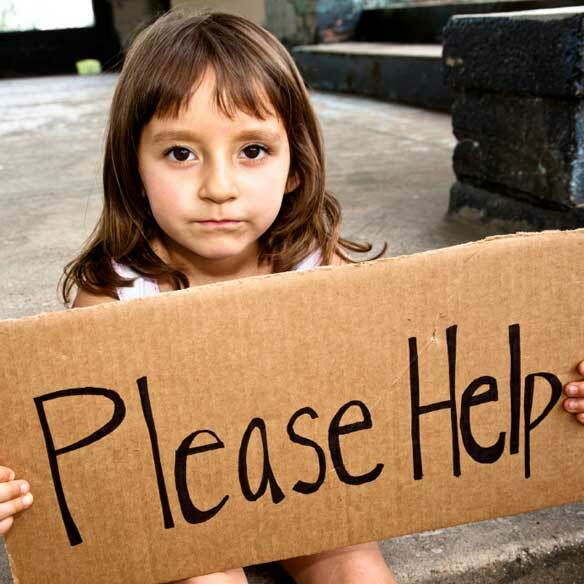 We are able to provide clean clothes, hygiene items, and non-perishable food to meet our clients immediate needs. We also provide referrals and counseling services. To do this we utilize a database of local resources to assist people with finding solutions that are more long term. 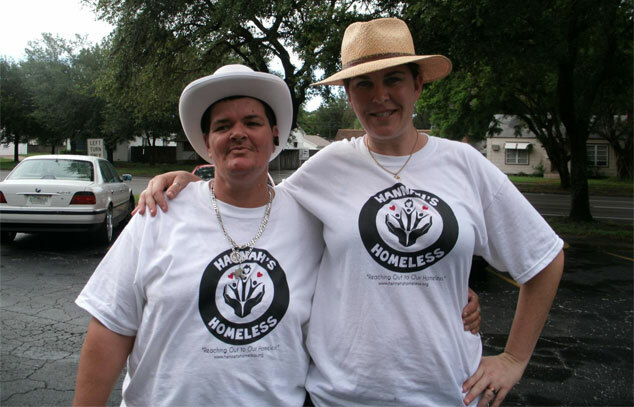 Hannah's Homeless is a non-profit 501(c)3 organization registered in the state of Florida and based in St. Petersburg. We are a collective group of folks who work hard to provide support and services to help our local community. It's our goal to give back to our community and have the resources available to the people in our city who are today struggling with homelessness and/or addiction or mental health issues. Many of today's homeless deal with all of the above mentioned ailments and many are veterans of recent and current wars. It's an honor to be able to help those less fortunate and we feel that it's our duty to try to be available for these folks. Gratitude is best expressed through action and we're counting on that being a contagious thing! We have a place for folks to come and get counseling and referrals for services. We also provide clean clothes, use of the phone, hygeine items, non-perishable food items, and use our resources to help with finding jobs, places to live, etc. If you're interested in helping in ANY way at all, please fell free to email via the Contact Us link. We'd love to hear from you. If you'd like to contribute please donate please click here which utilizes PayPal, a safe and secure way to donate online. We also accept donations of gently used clothing, blankets, new and unopened toiletries, and canned goods or other non-perrishable food items. Please email us to make arrangements. We will pick up donations if need be. Dec. 22, Christmas In the Park! You can reach us by phone, email, snail mail, or use the contact form below. We look forward to hearing from you! Hannah’s Homeless focuses on helping our local homeless population. We provide for homeless people in and around downtown St. Pete., Florida by passing out food, clothing, blankets and needed hygiene items. Our goal is two-fold: First, we provide immediately needed items, working towards building trusting relationships within the community. Second, we work with a core list of local resources to assist people with finding solutions that are more long term. People need to feel safe when they come to us to get information about local shelters, job fairs, detox centers and other sources of help…when they’re ready. Many of our Board members have all known, either first hand or from loved ones, the struggle of homelessness and/or addiction. It is a labor of love calling us to be of service, and our long term goal is to secure a building downtown to be a drop-in center and a safe place to come eat, clean up, find clean clothes, use a phone, get info and ask for help. By donating to Hannah's Homeless, you are helping to give a little bit of dignity and hope to those who need it the most. Also, we have no paid staff here at Hannah's Homeless so EVERY penny goes directly to provide services and goods for those we serve!. Thank you so much for being part of this heartfelt mission. Click the Donate button below and it will lead you to a secure PayPal transaction site. In Kind Donations: 1) deodorants 2) razors and trial sizes of shaving cream 3) toothpaste and tooth brushes 4) trial sizes of any and all hygeine items 5) pop-top canned cans of soup or any ready to eat food 6) men's clothes (small and medium sizes are most needed) 7) women's clothes 8) backpacks 9) laundry soap 10) toilet paper and paper towels 12) monetary donations are always needed and welcomed and can be made securely here Donations can be dropped at our building anytime during our scheduled hours or a pick-up can be arranged by hitting the Contact Us link. A COPY OF THE OFFICIAL REGISTRATION AND FINANCIAL INFORMATION MAY BE OBTAINED FROM THE DIVISION OF CONSUMER SERVICES BY CALLING TOLL-FREE WITHIN THE STATE #1-800-435-7352 or their website www.800helpfla.com. REGISTRATION DOES NOT IMPLY ENDORSEMENT, APPROVAL, OR RECOMMENDATION BY THE STATE. #CH41325.